Every day between now and 9/8 — the 50th anniversary of Star Trek’s debut — we’re counting down our TOP 13 EPISODES. 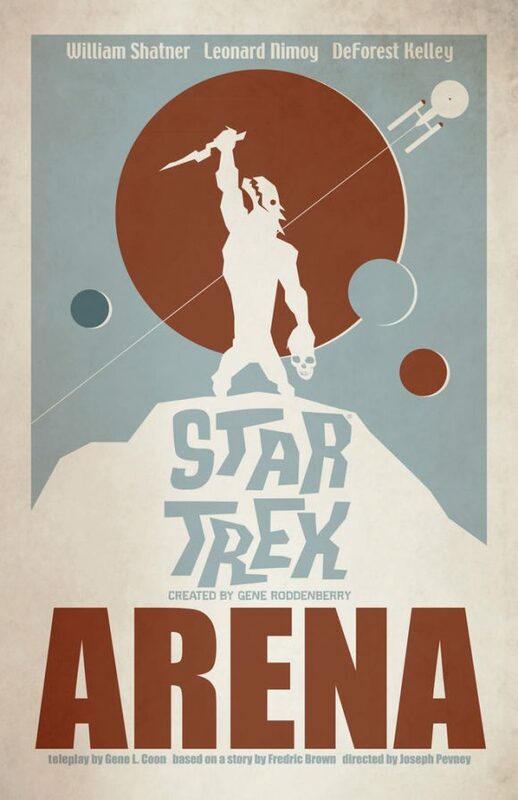 For the full STAR TREK Top 13 Episode Countdown INDEX — updated daily with new entries and other features — click here. 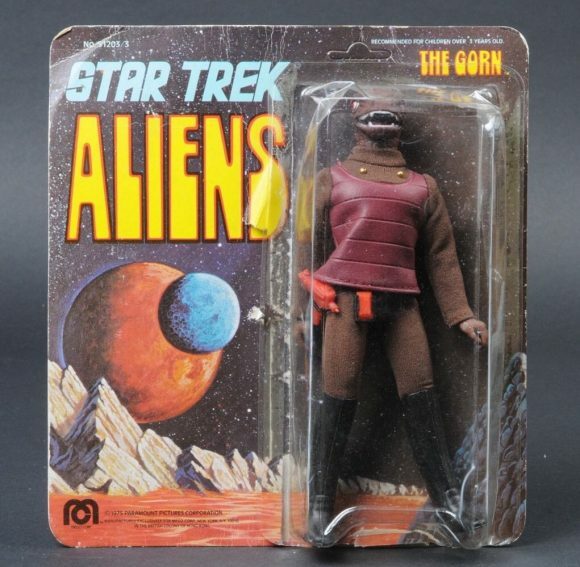 As Spock might say, this episode is highly illogical but wildly entertaining nonetheless, and you know why: the Gorn! 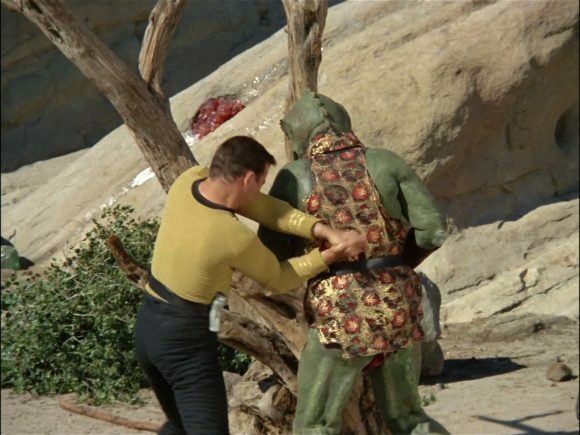 Kirk’s mano a lizard-mano battle of wits and muscle in the backlots of Southern California remains one of the kitschiest, contrived and wonderfully hilarious fight scenes in Trek’s history. And I mean all that in the absolute, best possible way. NEXT: A Piece of the Action. Click here. I liked the moral of the story and the point it made (kitchy fight scene or not 🙂 ). As Andy Lau stated, the episode asks the question “What is it about another creature that qualifies it for ethical consideration?” Of course they managed to repeat this theme in “Spectre of the Gun” another favorite of mine if only for the surreal set design and cinematography. I re-watched this recently, and forgot how well done the initial combat scene on the planet’s surface was. Stuff is blowing up everywhere! You get to see the cool phaser mortar for the only time as well. 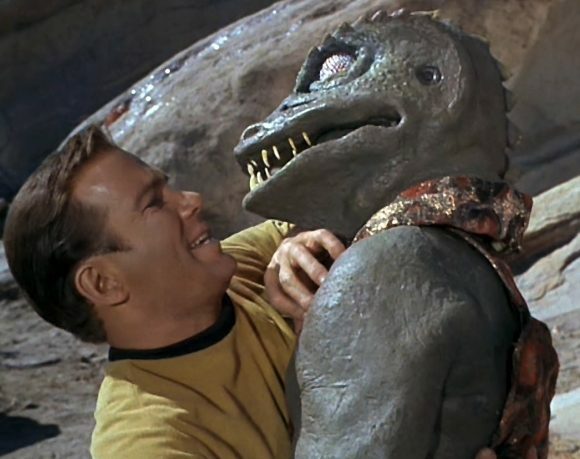 To bad the explosions caused Shatner’s chronic tinitus.